We are providing Bamboo Construction service to our client’s. This service is rendered by our qualified team of professionals utilizing advance tools and latest techniques in compliance with various standards. Our serviced are offered to our client’s at effective rates. We have team of experts who are rich in experience in designing of exterior panels that are enriched and latest version of the process of disposition of elegant delicacy. 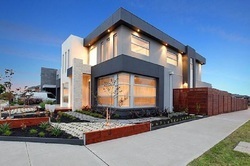 Exterior Rendering and Designing is one of our Key Services which stands our company out in the Market. People really like our Designs and they like to use those Designs on their Dream Homes. We are good with Contemporary, Modern, Ultramodern, and Classical - Neo Classical Elevation Designing. partnerships . Through mass production concepts of innovation craft work, alternative to plastic products in fresh flowers bouquet decorations and decoration products in market.